Are Dental Implants in Mesquite Worth The Investment? Imagine what your life would be like if you weren’t embarrassed to smile or talk in front of other people. How would it feel to eat and chew your favorite foods with ease once again? These are the daily struggles you face when you’re missing one or more of your teeth. Eating becomes a challenge and feeling embarrassed about your smile takes a toll on your confidence and self-esteem. You’ve heard that dental implants in Mesquite may be a good option for replacing your tooth, however you wonder if they’re worth the investment? Dental implants have quickly become the best tooth replacement option that modern dentistry has to offer. Boasting a 95% success rate, implants offer something that no other replacement option can, and that is they replace both your root and your tooth, which protects the integrity of your remaining teeth and your bone. They are also durable enough to last a lifetime with the proper home care and regular dental check ups. When you’re missing a root, your bone begins to lose density, which changes the appearance of your face and puts your remaining teeth at risk for loss. A dental implant provides a new root, made from a biocompatible titanium post, which integrates with your bone and creates a firm foundation for your new tooth. Your titanium root will keep your jawbone healthy and stimulated. When you’re missing a tooth, your remaining teeth will begin to shift into the open space. This puts them at risk for fractures, damage and periodontal disease. Replacing your missing tooth with a dental implant not only restores your smile; it preserves the health and integrity of your remaining teeth and your oral health. So the answer to our initial question is – yes! Dental implants are the best investment you can make to replace your missing tooth. If you’re considering a dental implant to restore your missing tooth, the first place to start is a consultation with your dental provider. Dr. Byron McKnight is your premiere implant dentist in Mesquite and he has had hundreds of hours of advanced training in implant dentistry. He will create a customized treatment plan based on your individual needs after a thorough examination and x-rays. 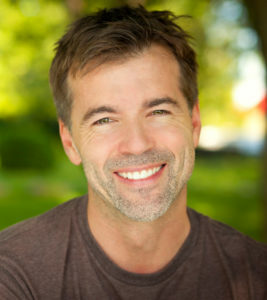 With many years of experience in both placing and restoring dental implants, you can rest assured that your restoration will be one you can trust and rely on for many years to come when you work with Dr. McKnight. Don’t let missing teeth hold you back any longer! Reclaim your oral health today by contacting our office for more information about dental implants. Comments Off on Are Dental Implants in Mesquite Worth The Investment?